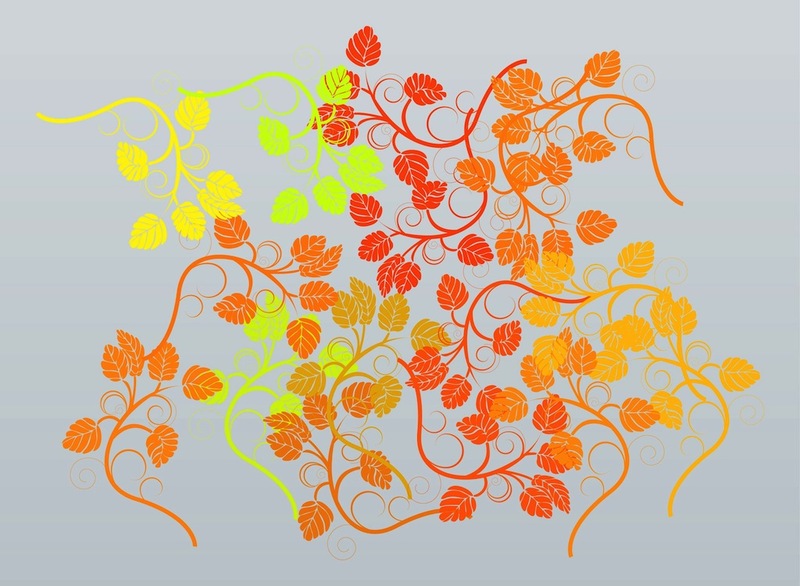 Nature vector design with autumn leaves. Silhouette graphics of tree leaves in different colors. Organic patterns and swirling stems. Autumn leaf pattern to design wallpapers, backgrounds, posters and clothing patterns. Free vector image for nature, plants, leaves, seasons and ecology designs. Tags: Autumn, Branches, Nature, Pattern, Plants, Silhouettes, Swirls, Twigs.